Friendly, informative welcome. Room as expected. The receptionist was very helpful and friendly. Communicated well in English which helped us. We always choose Ibis hotel chain, excellent standard across the range. It suits our needs as we travel with our dog. The facilities were basic but adequate; the shower had the head fixed which meant the shower had be be hand held to give a proper shower. Other than that it was OK. The stair from the ground floor to the second floor lighting did not work. Good rooms,very friendly & helpful staff. Hotel was clean and quiet. Jane at reception was exceptionally polite and helpful. We stayed at the hotel twice during our recent holiday, and the only negative comment I have is the shower in each of the rooms where we stayed. The shower spray is mounted too high and is not adjustable; and the shower doors in each room leaked water. The rooms could also use brighter (more) lighting in the bedroom as it was very dim. Otherwise we were very satisfied with our stay and your reception. I had been contacted by the hotel manager as my booking was uncleared. She handed up to confirm my booking with a better price. Clean room with everything you need for an overnight. Situated off the motorway with a buffalo grill restaurant and also big stores such as Gifi Gifi, jardiland etc. Pleasant receptionist, usual clean room with facilities. Nice and quiet. Slightly older Ibis but perfectly good for an overnight whilst driving to and from the south of France. Great double room, very friendly receptionist, good breakfast and restaurant next door. We have had better nights at Ibis hotels in previous years. The bed was not good, every movement resulted in a cracking sound as if the bed was about to break. Our Grand daughter was in the bunk above and it caused her sleeping area to rock. Easy to find. A slightly older style Ibis Budget hotel than we've stayed in before but everything was clean and comfortable. Reception staff were very nice. Convenient for the Buffalo Grill just across the car park if yu don't want to drive into the town centre. The staff were excellent. 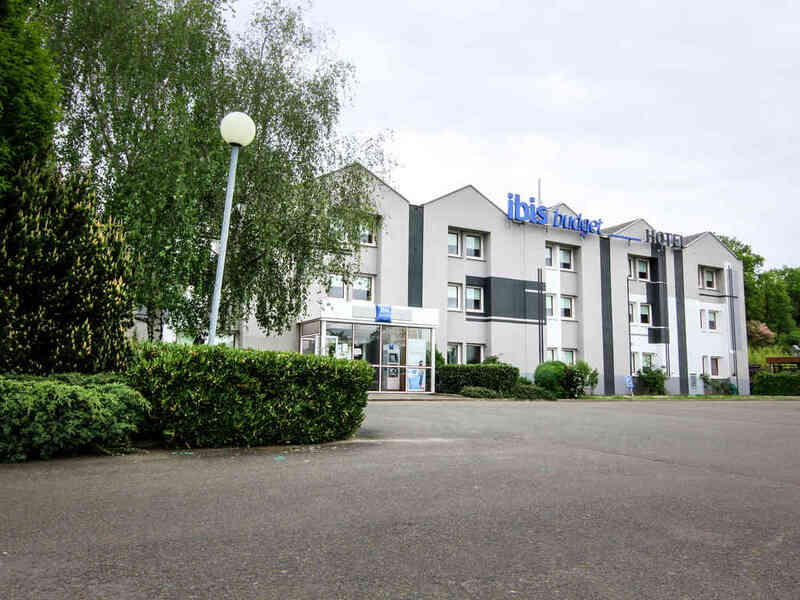 We have stayed many times before at this Ibis when it was an Etap and were always pleased with the accommodation. However it is now tatty, dirty and the rooms are awful The beds were uncomfortable. The shower over a ridiculous bath/ large sink was terrible you could not use it unless you held it in your hand otherwise it sprayed the whole room. The towels were hard. The room had no aircon and if you opened the windows it filled with flies and eveyrone on the car park could see you! We are members of Club Accor and have stayed in numerous of your hotels including Novotel so we are appalled by the standard of this previously good hotel. I liked the hotel in terms of its basic offering. Obviously it is a budget offering and therefore it is limited in its facilities. We arrived late but had no problems checking in. The rooms were what we expected and better. The rooms were connected which was a bonus and for the first time I can remember, the top bunk was already made.